After a long vacation, going home and sleeping in your own bed sounds like paradise. As they say, there's no place like home. But sometimes when you return home, there's a longing to go back. Back to the fantastic housing situation that made your trip special, a place where people went out of their way to make sure everything is perfect. An excellent stay at a hotel, inn, or resort can have that kind of effect on you. What is it that makes those visits so magnificent? It can be hard to put your finger on it, but that's because you remember the whole experience rather than the minor details. From the layout of the hotel to the excellent dining service and even the little room toiletries, the little details are what work together to start everything off right. The primary purpose of a hospitality business is to provide guests with an enjoyable experience. There isn't a standard way to do this; that's the neat part about the hospitality industry! The experiences can be completely different from one resort to another and still be suitable for your guests. There is one common factor that is essential to an amazing stay: the details. The little details you don't even notice make a massive difference in the quality of your visit. All of the details need to be carefully thought out to work together and make the guest as comfortable as possible. Of course, there are tools that hotels, motels, resorts, inns, and even cruises use to ensure their hotel experience is perfect. 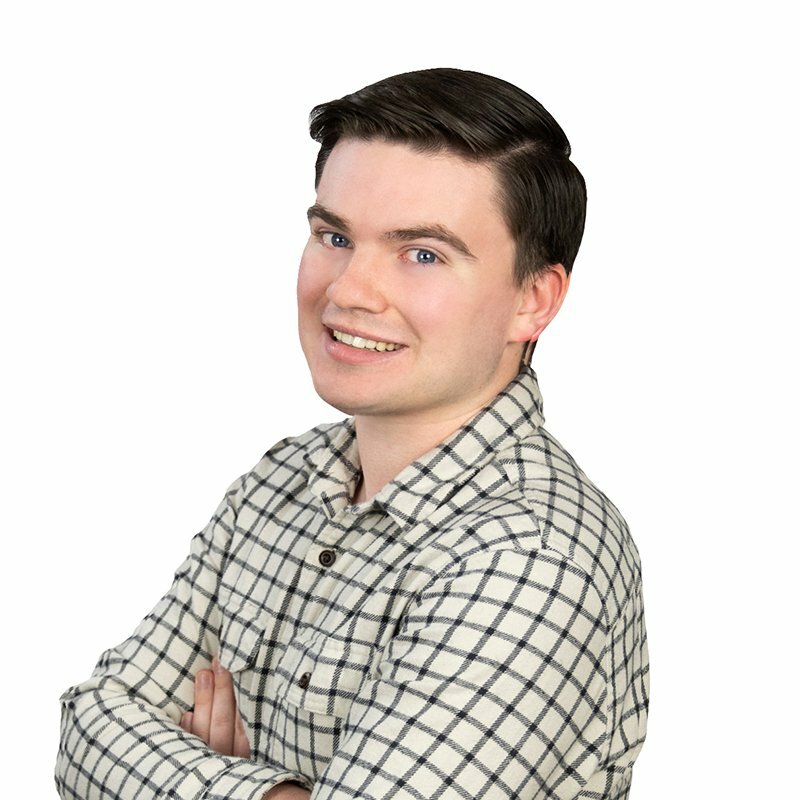 Let me tell you about some of the tools that you can use to help create an amazing customer experience. The first night of your stay at any sort of hospitality business can be tough. You're jet-lagged, sleepy, and just out of your normal rhythm. In those difficult circumstances, a do not disturb door hanger can be your best friend. Sometimes you just need a little extra time for yourself. Or maybe you are on an extended business trip, and it's your only day to sleep in. 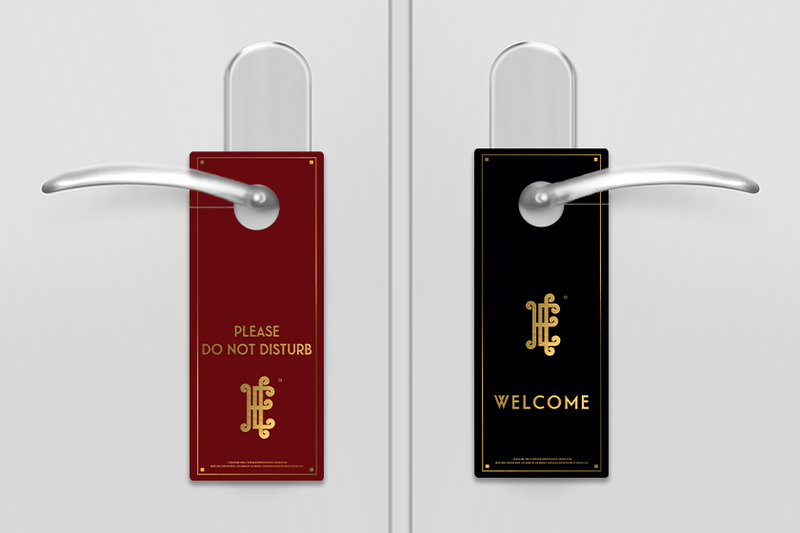 Door hangers are the unspoken method of communication between guests and the hotel staff. No one likes getting woken up by the staff because they are trying to clean your room. These essential tools have become an expectation for guests around the world as they create a greater sense of privacy, allowing your guests to feel more at ease during their stay. Your do not disturb door hanger can combine with other offerings to help your guests feel informed and maximize their time at your hotel. For example, some hotels promote the facilities within or connected to their hospitality business. I've seen hotels promote their spa or free work out programs. It's an effective way to show your guests what you have to offer and get them involved throughout their stay. Other possibilities for your do not disturb door hanger is: telling them about your rewards program, advertising local businesses, or displaying your room service menu. The options are endless! As I like to say, an informed guest is a happy guest. It's amazing how these small details can work together to provide an excellent experience. There can be a lot of information that guests have to remember during their stay. What's the WiFi password? How do I check out? 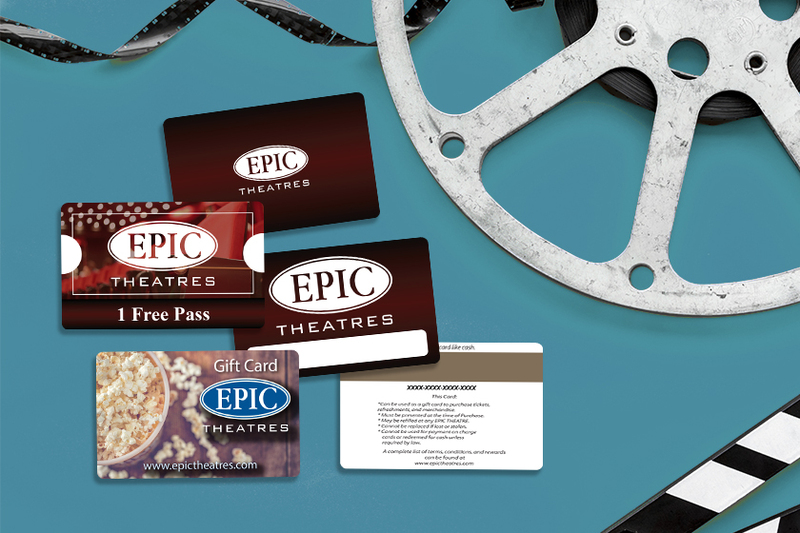 Are there any loyalty or rewards programs I should be aware of? All of those questions and more can be a bit for a guest to handle. But there are ways to keep your guests informed. Compile all of the information about your resort, that your guests may need, and put it in a hotel brochure. 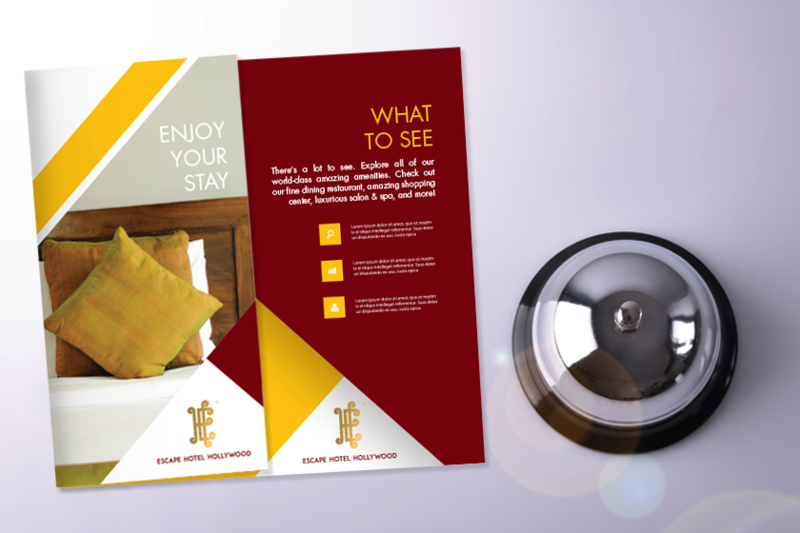 What should you include in your hotel brochure? Tell guests about your workout facility, room service, luggage carts, things that could make their stay more pleasant. Even if they don't use all of the information that you provide them, they will feel more comfortable at your resort and will be impressed by all of the services you offer. You can also collaborate with other businesses and use your hotel brochure to educate your guests on the things they can do in the area. Either way, your brochure will be the place they go to learn about possibilities in the area or amenities available to them right in their hotel. Have you ever had an experience at a business that you wanted to comment on? Some people take to the internet to review businesses, but others aren't the type to leave public reviews. 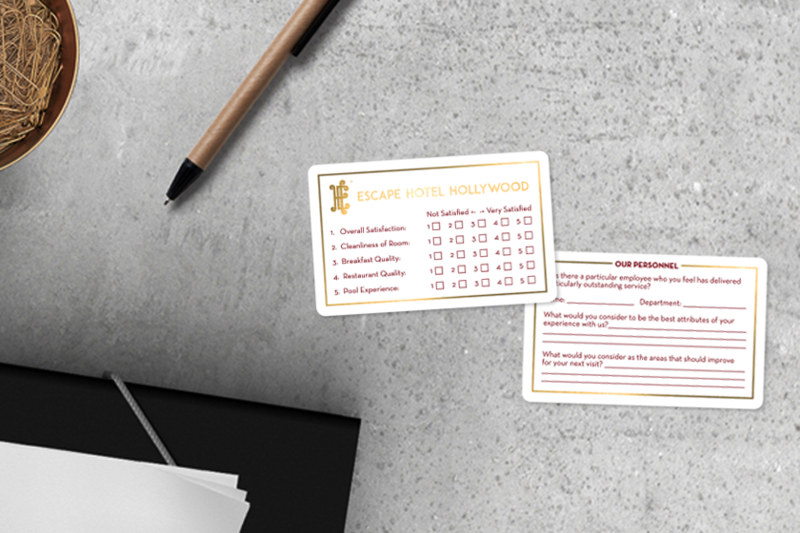 A hotel comment card is a tool used to give your guests an outlet to praise or critique their stay. A hotel comment card provides everyone the opportunity to give you honest feedback. As you know, feedback is essential in any line of work. It is hard to improve and make meaningful strides without feedback. So a hotel comment card is just as useful to you as they are to your guests. At the end of the day, everyone wants to feel heard. 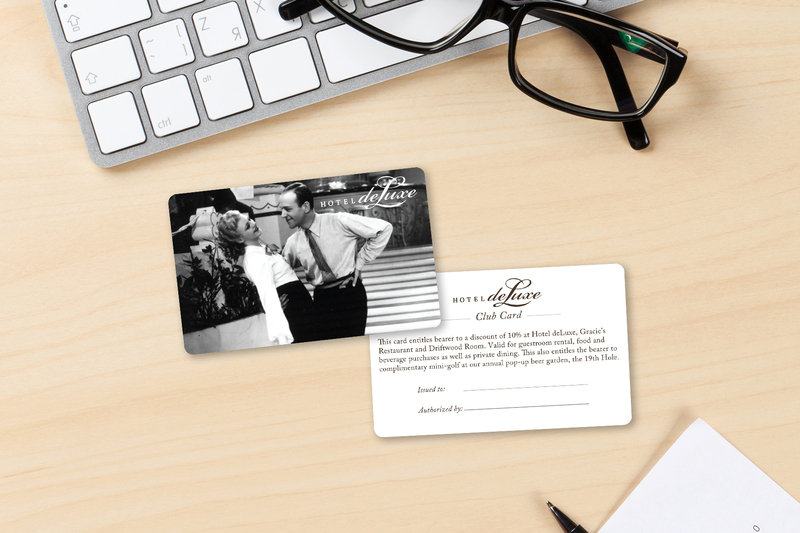 Your hotel comment card is the perfect marketing tool for listening to your guests and making changes. If your guests feel as though their opinion is valued, that will go a long way towards sustaining loyal customers and improving your business. Tip: Another cool thing about your hotel comment card is that there are a ton of design options out there. 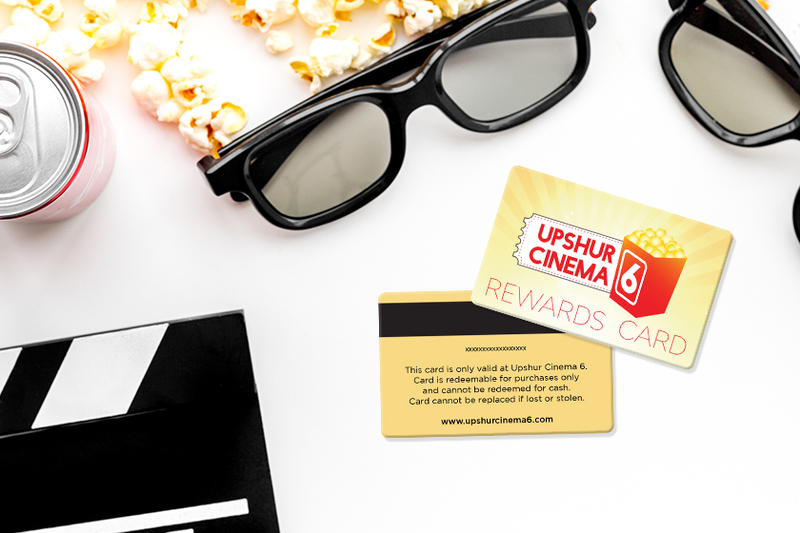 You could go for a larger single-sided design or a smaller two-sided comment card like the one above. Pick the design that best fits your hotel! These are just a few of the tools that hospitality businesses use to ensure no detail is overlooked. They will help you dazzle your guests with a stay they will never forget. There are plenty of other tools out there that can help too. Have questions on how these marketing tools can help your hotel, resort, inn, or cruise? Give us a call today; our experts are happy to help!